After several years working on a treatise putting forth his mechanistic philosophy and physics, Descartes shelved the project when his contemporary, Galileo, was charged with heresy. That work, The World, was only published after Descartes’ death. It seems that Descartes must have had this, in part at least, in mind when writing his more famous philosophical works. This is especially clear in the Meditations, not only in the obsequiousness of the Letter of Dedication, but also in the specific mode of argument, which does not seek merely to found science upon grounds acceptable to religious authority, but to specifically found a mathematical science; one which clearly privileges mathematical demonstrations even over common sense judgments based upon everyday and constant experience. His Copernicanism, put forth posthumously in The World, would require just such a defense. 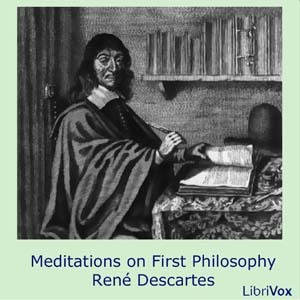 The Meditations are a central work of early modern philosophy, and play a crucial role in the conceptual development of basic perspectives and problems in the Western tradition, including substance dualism, external world skepticism, and the modern notion of the subject.